The Springboks’ shock loss to Argentina could force Rassie Erasmus to change his selection plans for the clash against Australia next Saturday, writes CRAIG LEWIS. 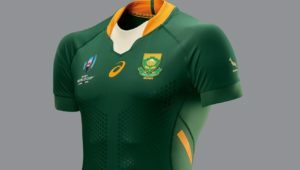 In the lead-up to the Boks’ Rugby Championship opener against Argentina in Durban, Erasmus was asked how the team selection might differ from the first game to the last against the All Blacks at Loftus on 6 October. Without a moment’s hesitation, he suggested there would probably be four changes. It was the sort of precise answer that provided insight into the meticulous planning that Erasmus has become renowned for. 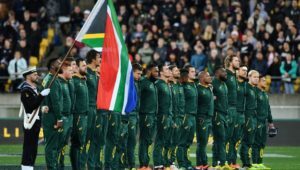 Proceedings went more or less according to script when the Boks claimed a comfortable victory over Argentina in Durban, with Erasmus ultimately opting to make just the solitary change to the starting lineup for the ‘rematch’ in Mendoza. The plan was then to make few changes for the upcoming clash against the Wallabies in Brisbane, with Erasmus having hoped that there would be a little wiggle room to continue with his plans of building squad depth and testing different players. 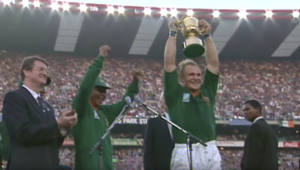 However, those plans were largely dependent on the Boks claiming a victory over the Pumas in Mendoza, which would have allowed the team to travel to Australia with a bit more freedom to experiment. 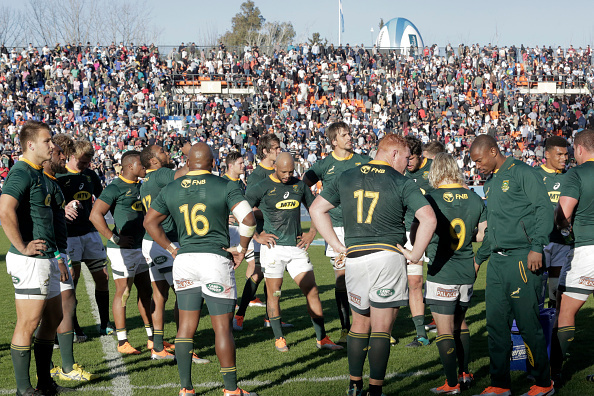 Instead, Erasmus has already admitted that the loss to Argentina has forced the Boks into a ‘win at all costs’ mentality, with their ‘honeymoon’ period having effectively come to an end after falling victim to the ambush in Mendoza. Erasmus also acknowledged that he would need to analyse whether the problem lays with the plan, the execution of the plan, or both. Over the next week, it will be interesting to see whether Erasmus opts to stick with the original idea of making a few changes for the Australia Test, or to now prioritise continuity, while providing the same players with a shot at redemption. The extent of Makazole Mapimpi’s knee injury has yet to be confirmed, and so there is a possibility that the Boks could be forced into at least one change, while increasing the probability of a recall for Sharks winger Lwazi Mvovo. There has been plenty of talk over the balance of the Bok back row, and should Erasmus opt to bring the impressive Pieter-Steph du Toit in at No 7, it could see Siya Kolisi shift back to openside flank. Up front, Wilco Louw is surely due for a start at tighthead prop, while part of the original plans may have been to also allow Steven Kitshoff to take up a starting berth at some point to afford Beast Mtawarira a break. 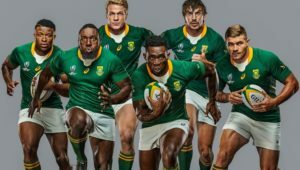 Of course, an inevitable debate will revolve around whether Handré Pollard should retain the No 10 jersey, or to allow for Elton Jantjies to make a return to action. Again, continuity may now need to take precedence. The capacity for any changes in the midfield could also be influenced by the result in Argentina, while the repercussions of that loss are set to be reflected in the team selection for next Saturday.